Master Home Inspection Professionals, Inc. Comment: Cover for ventilation fan on roof came off. Possible water leak if left uncovered and if it rains. Will need new cover. Comment: I would like to get an estimate for getting a home inspection. Comment: I would like to get an estimate for having a home inspection done to my home. Comment: Home inspection for a house that my family is going to close on. 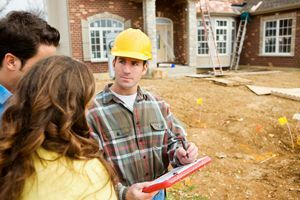 Comment: I'm buying a home in Belleville NJ and need to complete a home inspection. I'm looking for someone who inspects for everything, including oil tanks on the grounds. This is for a real estate sale and will need to be done within the next few weeks. Pinpoint, Inspection, & Testing, Inc.
Belleville Home Inspectors are rated 4.89 out of 5 based on 952 reviews of 26 pros. Not Looking for Home Inspection Contractors in Belleville, NJ?